I have a ZWO 1600mm-c pro, using 36mm Astrodon filters. 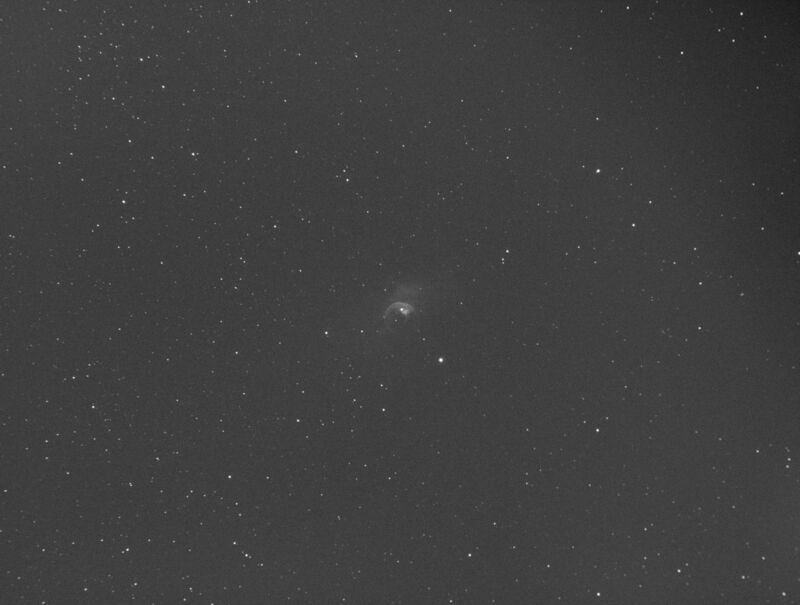 I have only tried imaging with Ha & O-III to this point. No issues with Ha. However, I have a very prominent single corner vignette with the O-III filter. Does anyone know what could be causing this? Could it be a problem with the filter itself? A friend suggested that perhaps the filter wheel isn't properly centering the filter when it rotates it into place. Could that be a possibility? What would the solution be to that? Here are the images, and sorry in advance for the size. Side note, if someone knows how to resize these in the post, let me know. I would be far from an expert, but wonder if the filter wheel is fully locking in place for that filter. IF you suspect the filter itself, rotate it 180 degrees and see if the vignetting moves to the other side. Like David, I'm far from an expert, but would like to assist if possible. Could you post a raw Ha sub, and maybe the stacked Ha? What gear (scope, filter wheel, coma corrector/flattener/reducer, camtrain dew heaters, etc) are you using, including brand? Also, what were the conditions (temp, dew, etc) like when you were shooting? I've had my 1600mm-Pro for only about 13 months now, and have made a lot of mistakes with it. And, I've only been imaging for a little over 2 years. So, I'm not an expert by any means, but I have produced subs similar to your OIII subs in that short time. Possibly your OIII filter had some dew on that quadrant. I've had a few occasions when a particular filter, always the one that is in the light path in the camtrain when cooling down the chip or one directly adjacent to that filter, get dewed up. Those times, by moving to a different filter, especially one on the opposite side of the FW, I've sidestepped the problem till the problematic filter dried off. I think I've read several places here on CN that under damp, cold conditions, cooling down the chip too quickly can cause the optical element that is nearest to the camera during the cooling (typically the filter that's inline) to fog over (dew up). I think that this is a result of the heating of the front glass on the camera. I've rearranged the filters in my FW such that I have an L-Ha-R-OIII-G-SII-B arrangement, so that if I have to switch filters due to dewing, I can usually continue shooting as before (NB or LRGB). More importantly, I do my cooling in stages, usually 5 degrees at a time, till the cam chip reaches the desired temp. This staged cooling is also something I've picked up here on CN. Since I started cooling in stages, I have not had a single instance of a filter fogging over. I would definitely do as David suggests, and check the filter seatings in the FW as a first step. While this is most likely unrelated to your posted issue, it appears to me that you need a better coma corrector, or need to adjust the spacing between the corrector and the camera chip, though this probably has nothing to do with your problem. Also, since different filters (say Ha and OIII) typically seem to have different vignetting and other issues when used under otherwise identical conditions, whatever issue is causing the OIII subs to come out this way might not show up in the Ha subs as noticeably or at all, but still be present. Hopefully this helped. If not, there are folks here on CN WAY more versed and experienced in AP, and folks WAY more knowledgeable in the 1600, than I. Such as Jon Rista. I hope some of them come to your rescue, and correct/teach me as well. You should be able to see the filter and it's centering if you look into the telescope (and maybe shine some light in). This really looks bad. Unless the filter is really not centered properly I'd rotate it in its holder, by 90 or 180 degrees, and see if the pattern rotates with it. What telescope is that taken with (type, F-ratio)? Do you have stronger light pollution from mercury vapor lamps? Thanks for the replies so far. Great idea to rotate the filter, I'll try that next time out if I don't figure anything else out before then. That should at least isolate it to filter vs. something defective elsewhere. - Sadly, no flattener (yet)... Hence the pittiful stars in the corners. Working on that. - The filter wheel was connected through the laptop by way of a StarTech USB hub. I was not running power to the hub. - I was using the ZWO dew strip that was made for the 1600. - We were imaging under a 100% full moon. 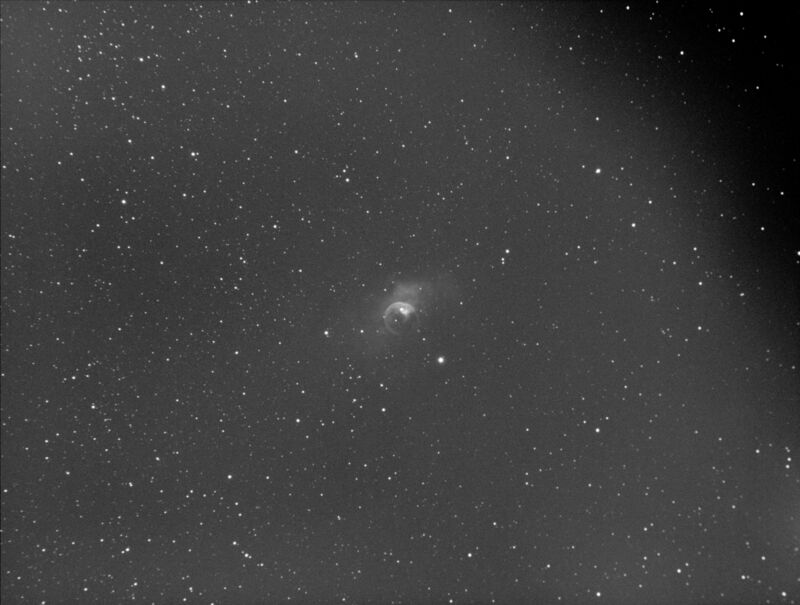 - We image from a bortle class 4 zone. So, have you had good enough weather to determine what might be the problem?